I can’t recall who said this to me, but I do remember I was in elementary school, it was a classmate, and I was horrified. Shielding my mac and cheese behind a carton of milk and a juicebox, I ate my noodles trepidatiously while remaining on the lookout for judgy glares. 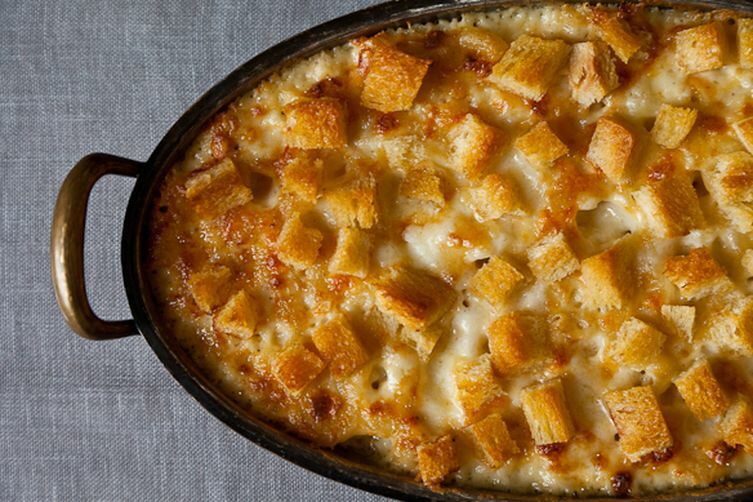 The slightly sweet, red-tinted mac and cheese just didn’t seem so appealing anymore. They say love can last a lifetime. Embarrassment, apparently, bests ketchup. Some 8 years later, I’m still searching for my go-to condiment. I want a sauce to drench my rice in, cover my vegetables, take plain ol’ chicken to new levels, and make tofu soy—sorry, so—cool. Well, I should say I was searching. Of all the recipes in Lucky Peach Presents 101 Easy Asian Recipes (and we’re talking miso clam chowder and fish sauce spareribs, here), I didn’t think I’d love Odd Flavor Sauce. It was more of an “I have the ingredients, so why not” sort of thing. It did seem, well, odd after all: soy sauce, tahini, Chinkiang (Chinese black vinegar), sesame oil, sugar, and salt are mixed together until they’re mostly dissolved. A slew of other ingredients—chopped scallion, ginger, garlic, chili flakes, and Sichuan peppercorns—briefly hit a hot skillet. The now aromatic-y aromatics are whisked into the tahini-soy sauce mixture until the whole thing’s well-blended. 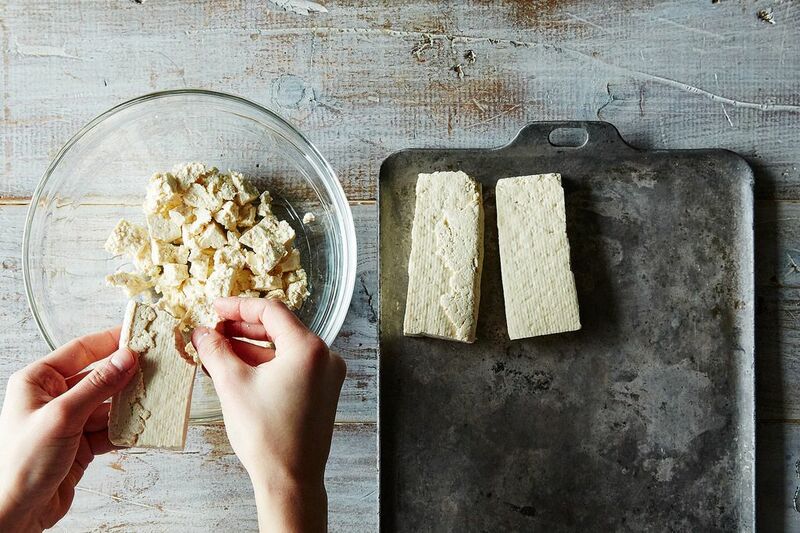 More: Go nuts and make your own tahini. 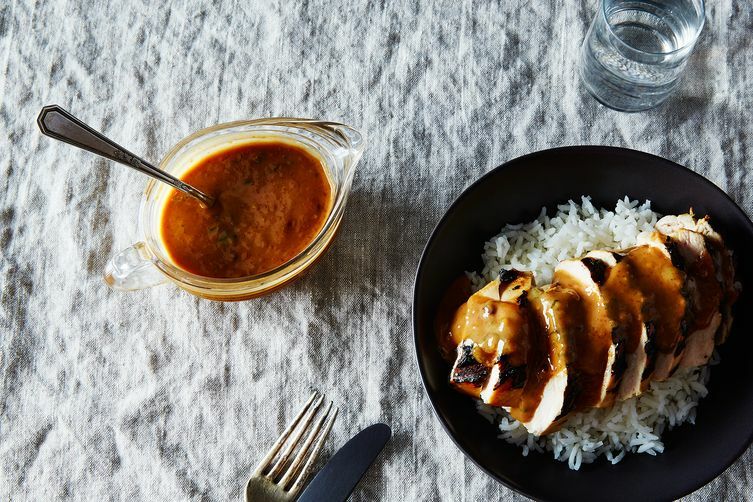 It’s no peanut sauce or miso dressing. It’s, dare I say it, better. There’s the slightly brash heat from the chiles, more subtle punch of the peppercorns, acidic burn from the vinegar, soy sauce’s umami, and nuttiness from the tahini and sesame oil. It’s a lot of flavors—an odd mix of everything that hits so many notes in just the right way. As Lucky Peach says, the sauce is good on “any warm white proteins.” Salt and pepper chicken, fish, pork, or tofu, cook it any which way you like, slice, and pour on that Odd Flavor Sauce. 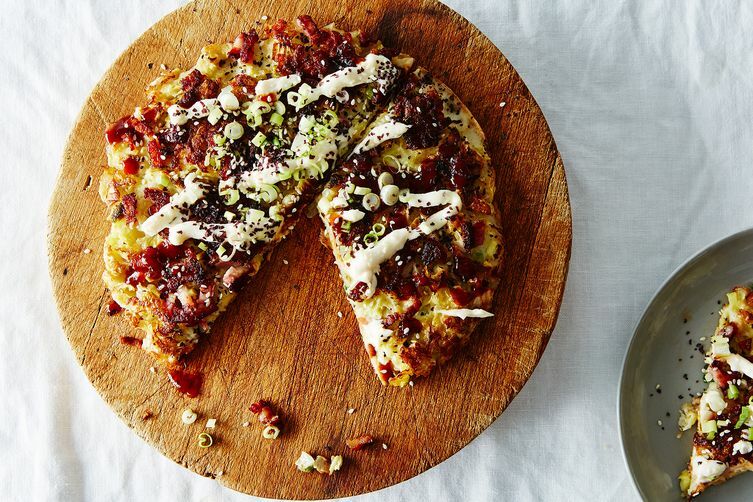 Serve with rice (and extra sauce), of course. Toss roasted or steamed vegetables with some sauce. As a dipping sauce for Okonomiyaki. 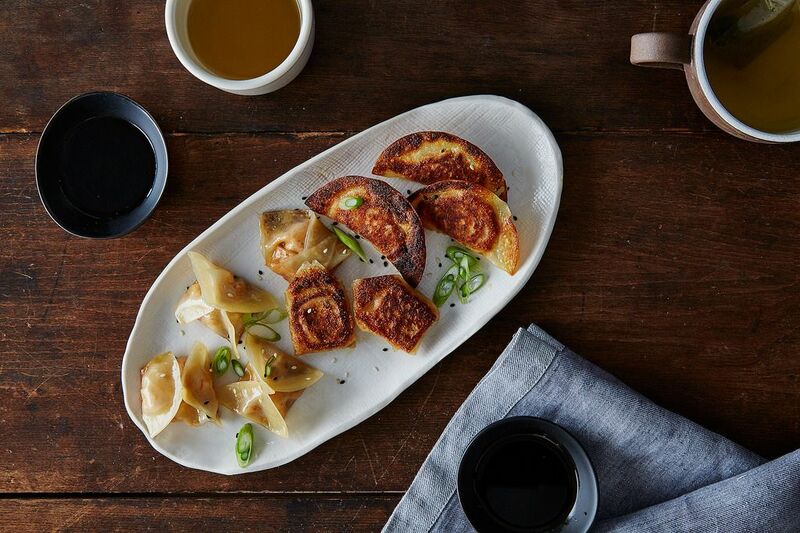 Dunk some dumplings in it. Use it to dress for soba or udon noodles—or a noodle salad. How about an assertive dressing for kale salad? Add some shredded carrots, herbs, pan-fried tofu, roasted and chopped peanuts, and/or whatever else you fancy. On that same note, use it as a dressing for any shredded vegetable salad, like this cabbage version. Dunk some edamame in it for one helluva snack. 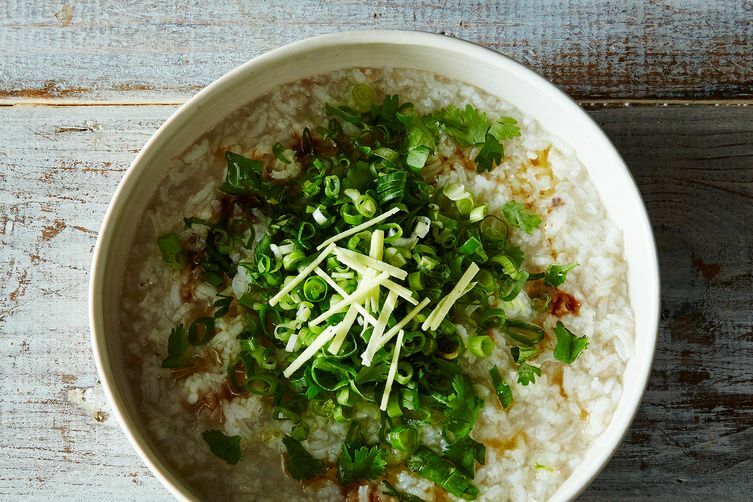 Drizzle it on jook or congee. And here you have your go-to condiment! I haven’t tried Odd Flavor Sauce on mac and cheese yet, but wouldn’t doubt it’d be better than ketchup. And, if not, there are no judgy classmates around anyways. Sounds AMAZING! How long do you think it will keep in the fridge? I'm with you on the ketchup on my mac n' cheese. Growing up with a French Canadian mother - we ALWAYS has ketchup on Kraft Dinner. Thanks for this recipe. I can't wait to try it. Off to make Lucky Peach's Odd Flavour Sauce - have some lamb chops in the freezer! Thanks for the recipe @Riddley. @julieoj and @jellygood, the fish is the key - we use small, dried fish called ikan bilis, and dried south Indian chillies (the crinkley ones), about six tsps of different spices. Hit me up by email [email protected] and I'll send you some to taste. It keeps really well in the fridge because the coconut and spices are natural preservatives/antimicrobials. i am trusting your judgement on this sauce solely due to the fact that you admit to eating mac and cheese with ketchup. I too know the wonders of that combo. Thank you SO much, jellygood! Looks yummy but nothing particularly odd about it. Bet some cilantro would be good in it. Sounds a lot like the ingredients in Dan Dan noodles, just add a little broth and pickled mustard greens. If you have an Asian mart to shop at, I would also suggest using Chinese sesame paste which is different from tahini. This would be a great dip for steam artichokes. South Indians have a go-to condiment made of anchovies, coconut and chillies that we put on everything like this lovely odd sauce. We call it Gunpowder at home. Spicy. Can I ask, I can't eat onion or garlic as it upsets my tummy, would this be a disaster without them? I don't think it'd be a disaster! However I cannot vouch, with certainty, for the taste. 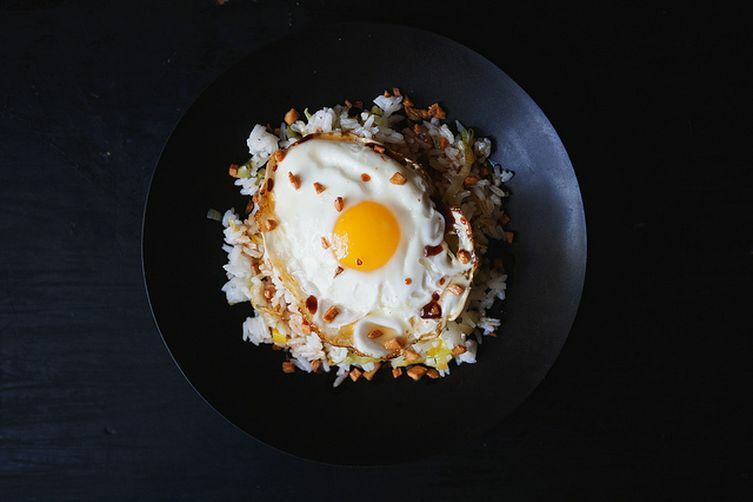 You could use other additions to amp up the flavor, though, like a bit of fish sauce. And do let me know how it turns out sans onion and garlic! Thanks for sharing this piece! This is a sauce I had wondered about from time to time but never bothered to find out! Turns out I have used it time and time again.... And I can taste it in my head right now... This is essentially how I make cold sesame noodles: cook up a batch of spaghetti and toss them with this "odd flavor sauce"- sprinkle chopped green onions on top (and more sesame) - always a party favorite! This looks incredible - as versatile as XO sauce (my new favorite go-to for all of the purposes noted above, and more, having been tipped off by Food52'er halfpint who, if you hadn't noticed, is an invaluable font of useful information). Definitely going to try this, as an alternative. I think that'd be absolutely delicious!